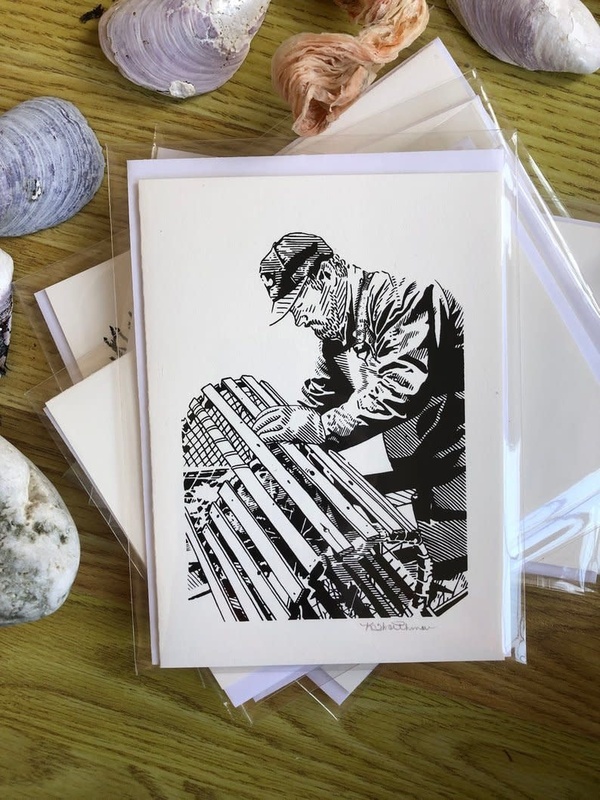 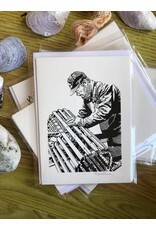 Krissies husband's cousin who lives in Nova Scotia contacted her after seeing some of her prints and sent her a picture of his father checking his lobster pots, so here's the print! 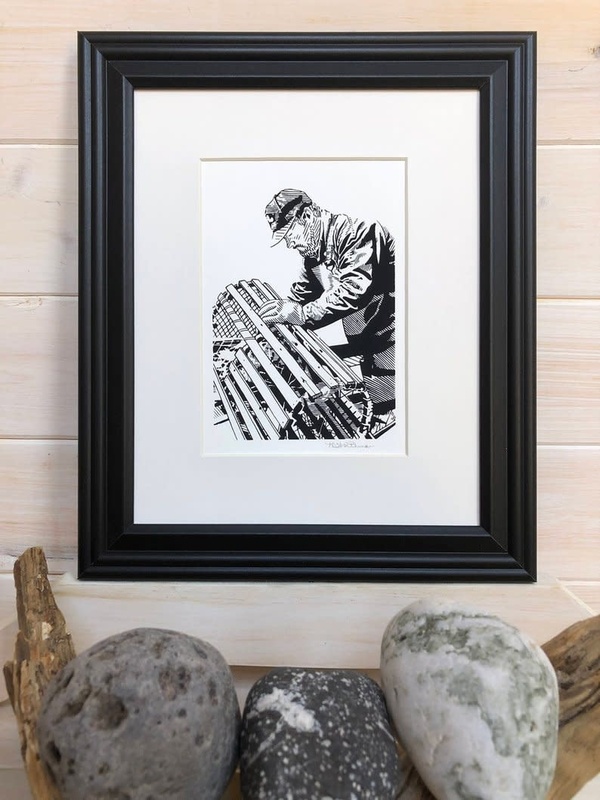 This is Bert White from Long Cove, Newfoundland. 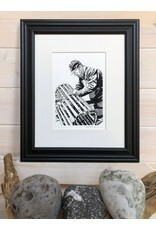 Bert and Krissies father-in-law put fibreglass on her washout booth after it was built, so she is glad to finally had a chance to draw him!